In this Photoshop tutorial, Caroline Julia Moore gives us an in depth look at the creation of her amazing piece called Time Traveler. 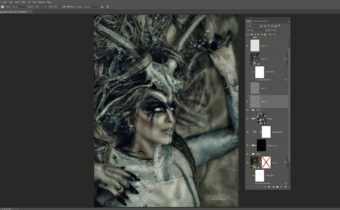 Follow along as she uses advanced techniques to achieve a unique look featuring a mixture of illustration and cartoon effects. 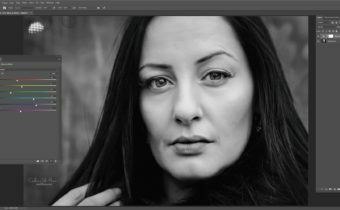 This tutorial consists of three parts: a speed edit video, a video tutorial, and a step-by-step written tutorial! A really beautiful piece Caroline. Can you please give the link to RawExchange for the fabric overlays? I can’t seem to locate their website. Thanks! this is a wonderful piece and a special surprise with the 2nd verbal walk thru video. thanks to you and Andrei for sharing your teaching skills. this is my 1st taste of the site. i’ll be exploring more and most probably stay connected. There are so many pieces of information in here that will help with my work. Thank you so much for making it available. 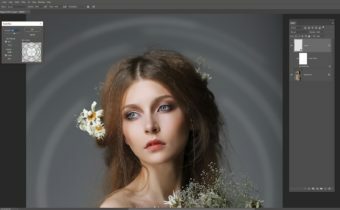 This Tutorial was amazing will have to watch it a few times but love your work and you explain so many details so you get a better understanding of how to use photo shop to create things very inspirational thanks Caroline .